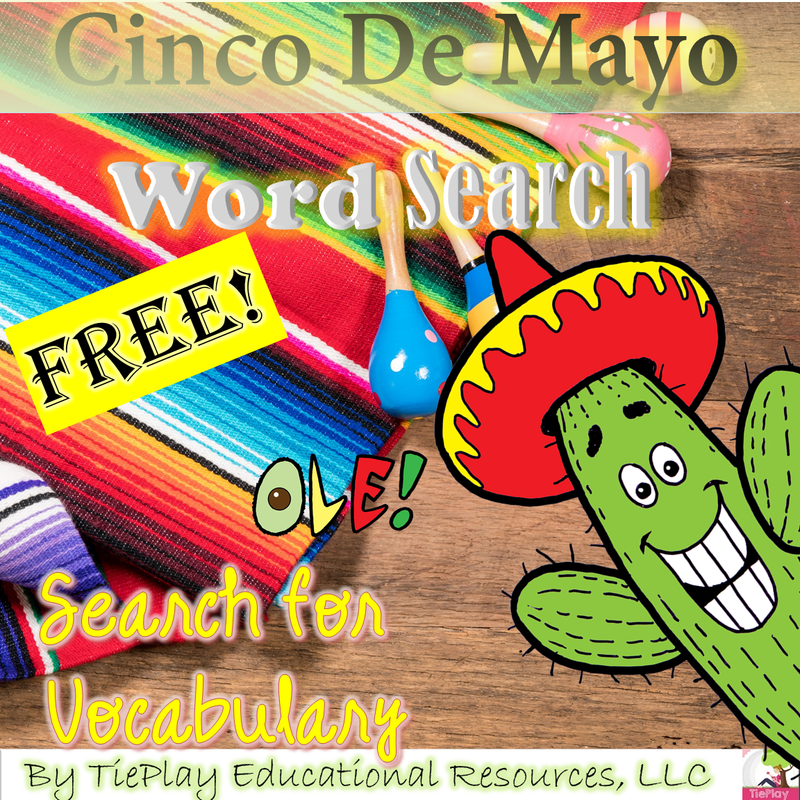 FREE Puebla, maracas, victory, folklorico... a free Cinco De Mayo worksheet for your students. 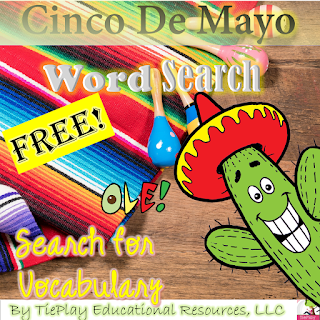 This word search contains 26 Cinco De Mayo vocabulary words and a teacher's key. 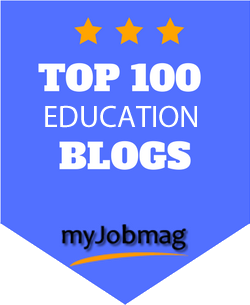 Great for center station use, and to complement a unit. Happy Cinco De Mayo Day!